Over 75% of our work is within the automotive supply chain, working as a tier-2 supplier. 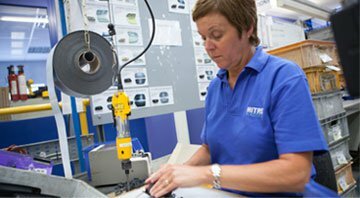 Mitre Plastics can deliver quality products from tooling that is often made for short product life and low investment cost. Welcome to Mitre Plastics. 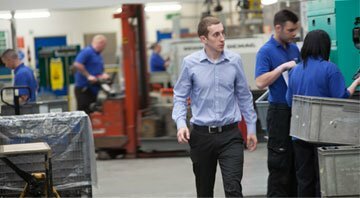 We are the North-East's premier family-owned and run injection moulding company. Developed over 45 years, we offer one of the widest ranges of machine sizes in the sector coupled with the latest quality standards and operating methods. We’re always happy to talk about the injection moulding process and finding opportunities to develop our business. If you would like to find out more about what we could do for you, please make contact using the form below. We look forward to hearing from you. We are a plastic injection moulding company situated in Stockton in the north-east of England. As a UK (United Kingdom) manufacturer using many polymers such as PP, ABS, Nylon and Polycarbonate we make injection mouldings for the automotive, electronics, domestic goods and packaging industries. 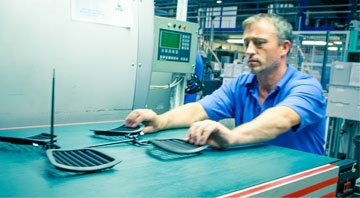 Moulding and toolmaking are specialities, along with support services such as printing, insert-moulding and painting.